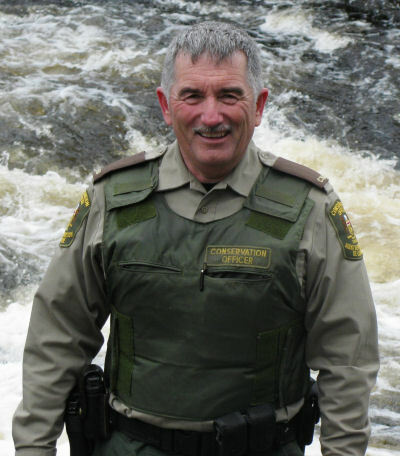 The Ontario Ministry of Natural Resources and the Ontario Conservation Officers Association are pleased to announce that William (Bill) Clark has been selected as the 2010 Conservation Officer of the Year. Bill Clark was nominated for the award by his peers, and his nomination was also endorsed by 9 fellow officers, a member of the Ontario Provincial Police and the Chief of a local First Nation. 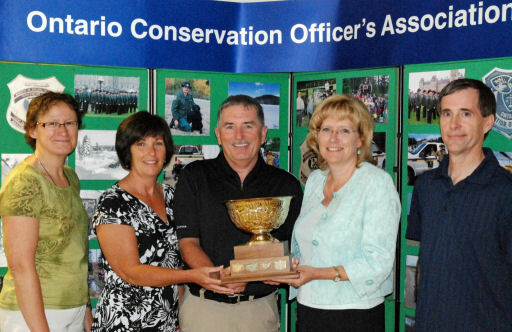 Bill was selected to receive the award by a provincial committee comprised of natural resources law enforcement staff, including representatives of the Ontario Conservation Officer’s Association. The number of testimonials and letters of support for Bill’s nomination is reflective of how well respected he is by his peers and leaders within his community. Officer Clark was one of 76 Conservation Officers who were recognized with a Peace Officer Exemplary Service Medal this past year. The official awards ceremony took place at the annual OCOA Conference held in Barrie, August 12th to 14th. The Honourable Linda Jeffrey, Minister of Natural Resources attended the conference and made the awards presentation to Bill. The Officer of the Year Award acknowledges officers like Bill, that have demonstrated the highest level of dedication and professionalism amongst our ranks and pays tribute to the high quality of Conservation Officers we have in the Enforcement Branch. 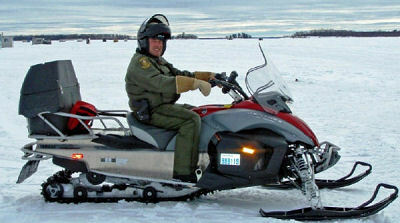 Please join us in congratulating Bill Clark as our 2010 Conservation Officer of the Year!